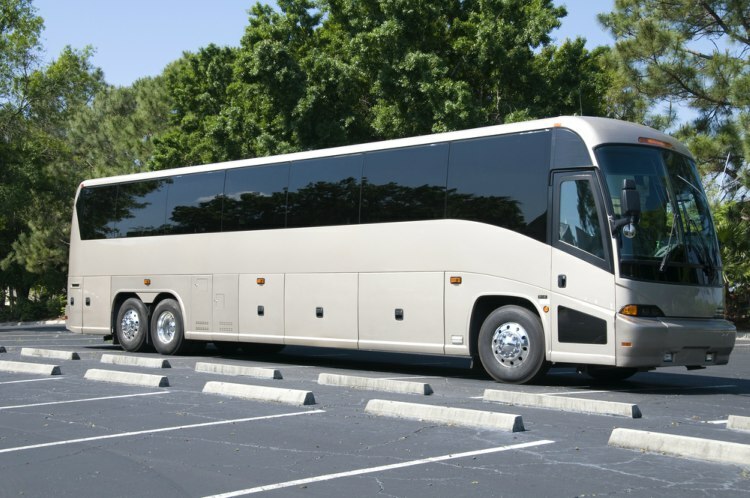 No matter how big your class is, we can find the perfect charter bus or minibus to accommodate them. It’s important that your students are safe, comfortable, and entertained when they’re heading to a major school event, and we make sure of that with every booking. Contact Las Vegas Charter Bus Company at 702-780-0886 to book your bus today. Your students are always in good hands with us. All of the buses in our network pass safety examinations, and every driver we work with is vetted to ensure they meet our requirements. Beyond safety, students are guaranteed an entertaining ride. Select charter buses may be equipped with amenities such as WiFi, DVD players, flat-screen TVs, and more, allowing your students to take their mind off of the trip and bond with one another. Students don’t need to stress about getting to away games to support their school. Book with us and they can all ride together, enjoying fast, efficient transport to the competition. For longer trips, students can pack as many supplies, clothes, books, and food as they need, thanks to added storage space such as overhead cabins and luggage bays. We have a ton of experience handling local on-campus activities, such as school dances, pep rallies, formals, greek events, and more. Your students shouldn’t have to walk all the way across campus if they don’t have to. Make things easier for them and book private minibuses to expedite movement across campus. Las Vegas Charter Bus Company has provided transportation services for high schools, universities, and a number of other learning institutions throughout Greater Las Vegas. Minimize the stress of your next student event by booking a private coach with us, today. Call us at 702-780-0886 for a free quote and more information about how to book the perfect bus.